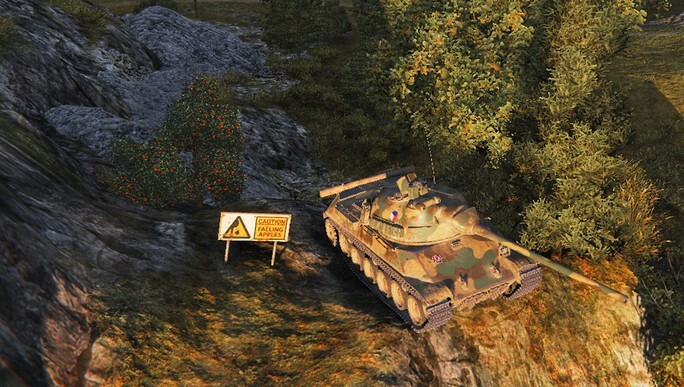 The grand final ended a long time ago, but it's still echoing within the WoT community. In the decisive map against Natus Vincere Yury «Applew0w» Ilin got stuck in a trap and got surrounded with cliffs so he had to watch the scenario helplessly, having, eventually, lost that very map. The developers didn't leave such a highlight without attention — starting from update 9.15.1 some changes will be made to the Cliff map. The unfortunate rock has disappear, and on its place there is an apple-tree now, a flank to which is blocked with a warning sing saying «Caution! Falling Apples!». Nevertheless, while recalling the past events, we shouldn't forget about the upcoming ones either — it's less than two weeks before a new season starts. From 4 August HellRaisers will dig up the hatchet again and will go on the war-path of another WGL season.